Follow in the footsteps of some of the South’s literary icons, from William Faulkner to Eudora Welty and John Grisham, and see their words come to life. Visit the New Orleans apartment where Tennessee Williams began writing “A Streetcar Named Desire” and the Key West Hotel where he finished the play. Pay homage to Flannery O’Connor at her farm and gravesite in Georgia or make a pilgrimage to Harper Lee’s Maycomb in Monroeville, Alabama. Head down to Florida and travel Zora Neale Hurston’s Dust Tracks Heritage Trail or see the house where Jack Kerouac was living when “On the Road” was published. This app also includes restaurants, bars and hotels with a literary theme, from the Mockingbird Cafe in Bay St. Louis, Mississippi, to the O. Henry Hotel in Greensboro, North Carolina. And no literary app would be complete without the independent bookstores that help carry on the legacy of the South’s writers. With more than 130 sites to visit and over 700 photos, this app aims to provide lovers of Southern lit with a multitude of options for paying tribute to their favorite authors and discovering new ones along the way. Thanks to everyone who contributed to the Deep South Literary Trail App, including Carol Marks, Shermika Dunner, Jake Cole, Annie Bares and Sarah Matalone. 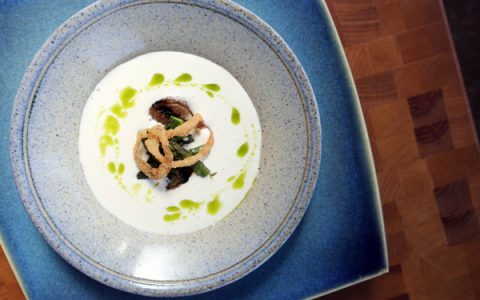 Welcome spring with a delicate onion soup from Charlotte's Good Food on Montford. 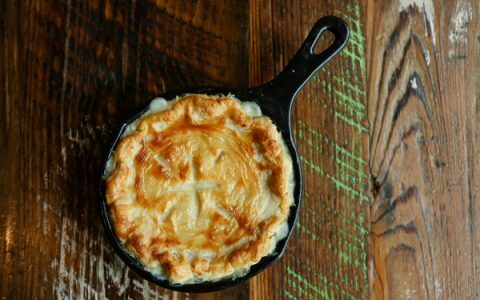 Willa Jean's Rabbit Pot Pie recipe includes a roux and gravy.